This year at Computex 2014, Crucial displayed their latest DDR4 memory kits included their renowned Ballistix brand. While the Haswell-E platform is still a month away from launch, the DDR4 memory kits have begun to appear across several retail outlets such as Overclockers.Co.Uk who have listed Crucial’s entire DDR4 lineup and available for pre-order. One of the most interesting features regarding the upcoming Haswell-E HEDT platform is the fact that it will be the first consumer platform to support DDR4 memory (optimized for quad channel operation). Being Intel’s high-end platform, it will also include the first 8 core processor from Intel codenamed Core i7-5960X based on Intel’s Haswell microarchitecture. While we still have to see real-time performance benefits of DDR4 memory in action, we know now what kind of prices to expect from the upcoming memory kits for future generation platforms. OCUK have listed a total of eight memory kits for pre-order which include four 16 GB DDR4 memory and four 32 GB DDR4 memory kits. Each memory kit belongs to a different brand, the top-tier “Ballistix Elite” brand would be the expensive of the bunch followed by “Ballistix Sport” which features a low-profile heatsink incase you are using high-end coolers which may cause installation issues using memory with bigger heatsinks and the “Value” series which are optimized for stability and feature low cost compared to the Ballistix series memory kits. 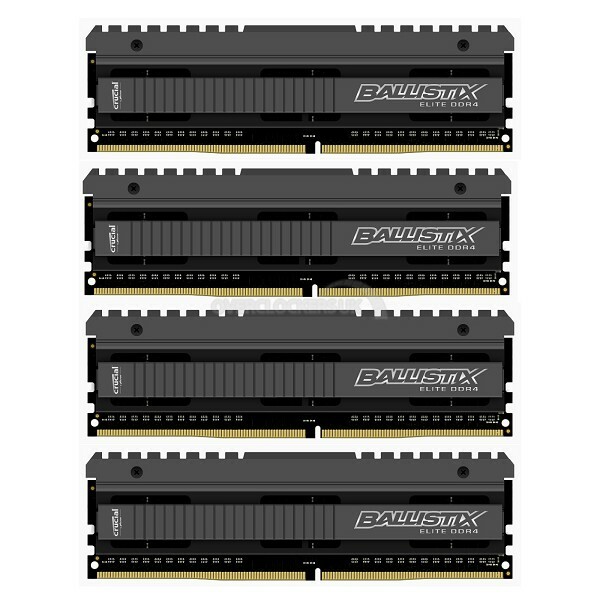 The Ballistix elite memory comes in four variants, two 16 GB and two 32 GB kits. The most high-end memory you can grab under this brand is clocked at 3000 MHz (CAS 15), 4 x 8 GB DIMMs and priced at £666.66 while the 2666 MHz clocked kit is priced at £479.99. The 16 GB kits also have the same specifications, one comes in 3000 MHz at£329.99 while the 2666 MHz kit is priced at £239.99. The Ballistix Elite memory features a maximum bandwidth of 24 GB/s delivering improved system performance and responsiveness since the processor can access data faster and delivers up to 40 percent more efficiency compared to standard DDR3 memory type. The Ballistix Elite brand is designed with gamers in mind hence is optimized towards the Intel X99 platform with support for XMP 2.0 profile. 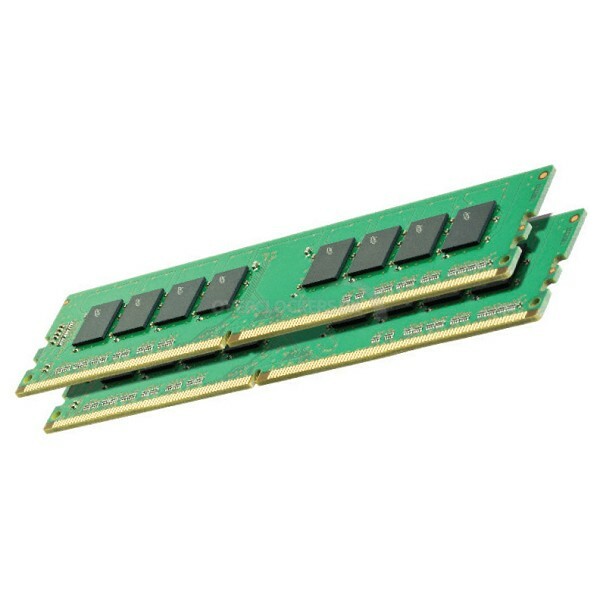 The memory modules feature an aggressively styled anodized aluminum heat spreader which helps dissipate heat more effectively while the memory stick uses a full black PCB which looks great from an aesthetic point of view. It even comes with the M.O.D (Memory Overview Display) utility that allows users to monitor thermals in real time. 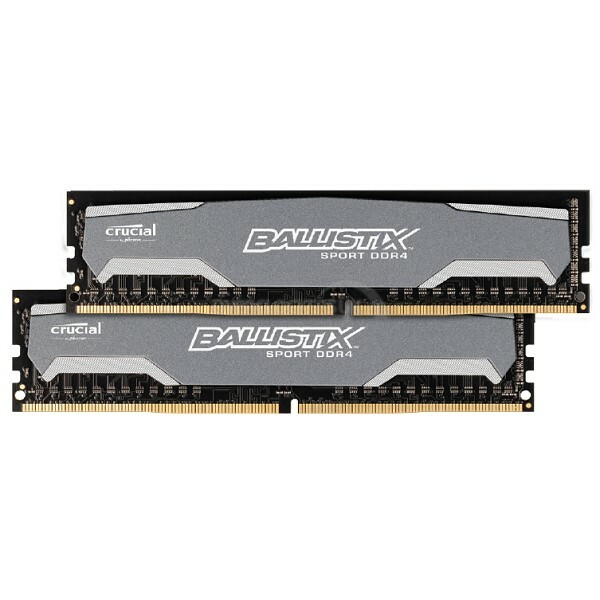 Next up, we have the Crucial’s Ballistix Sport memory which are optimized for a wide variety of users since they are available in a wide range of module types, configurations, and heat spreader options. Sport modules are available in UDIMM/SODIMM form factors, DDR3/DDR4 memory technology, and tall/short height profile. These are available in two memory kits which include a 32 GB clocked at 2400 MHz (CAS 16) priced at £359.99 and a 16 GB variant clocked at 2400 MHz (CAS 16) priced at £179.99. Last up are the Crucial Value series DDR4 memory kits which come in 32 GB and 16 GB variants clocked at 2133 MHz (CAS 16) and priced at £329.99 and £169.99 respectively. Both variants come without any heatsink so you’ll be able to find very little overclocking on this series if you are lucky but at the end of the day, more users who are on a budget will aim for the value series since they offer just about the same performance to users who are not in to overclocking and rather stick to gaming and application oriented tasks.